One custom-made 14 karat yellow gold brooch. 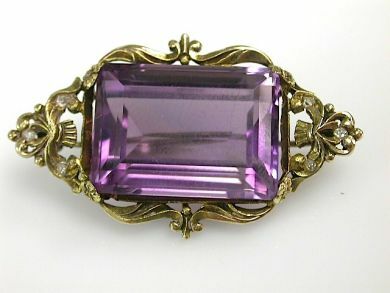 One amethyst (35.99 carats). Six old mine cut diamonds (0.11 carats: SI clarity: H-I colour).